Perfect Symmetry takes us to the frontier of scientific thinking, to the state of the universe before the big bang and before that to the creation of the universe out of absolutely nothing. Dr. Pagels writes with unmatchable elegance about the complex questions raised by the new physics. Perfect Symmetry presages a times in the near future when physicists will attain total understanding of the origin and nature of the universe and its evolution, thus achieving a new outlook on the creation and existence. Pagels emphasizes the new astronomical discoveries gained through the use of radio telescopes and earth-orbiting satellites. Details on the newest scientific findings give the reader a picture of what the universe really looks like - the stars and their deaths as white dwarfs, neutron stars or black holes; the structure and evolution of galaxies; and quasars and their distribution in space in the form of clusters and superclusters. 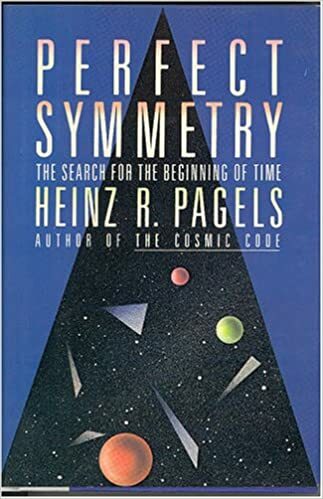 Heinz Pagels is that rarest of scientist/writers-one who can make comprehensible to the layman the most complex of ideas, synthesize disciplines to create more than an overview, and bridge the gap to make science read like art.